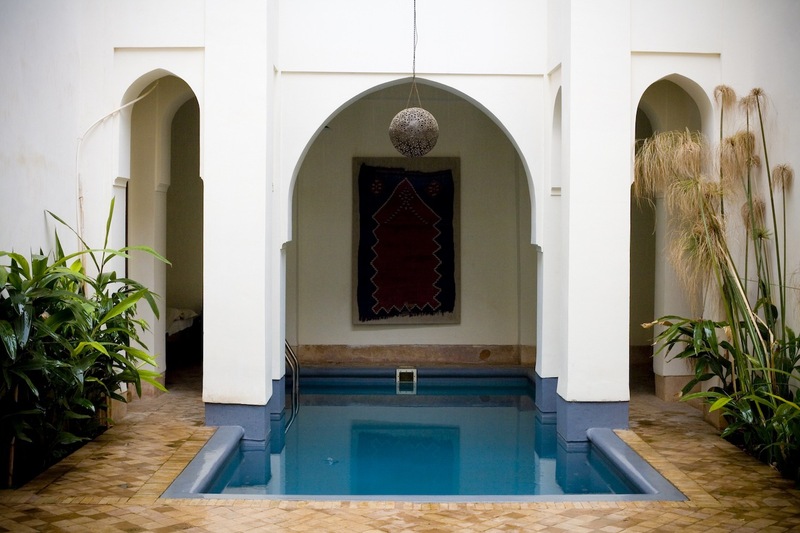 Your adventures in Morocco start right away in a typical Marrakech Riad: at Riyad El Cadi. 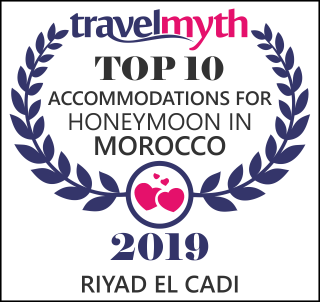 A tour through courtyards, staircases and corridors of seven traditional houses forming the Hotel Riyad El Cadi gives a good impression of the ancient and pure forms of traditional Moroccan architecture. 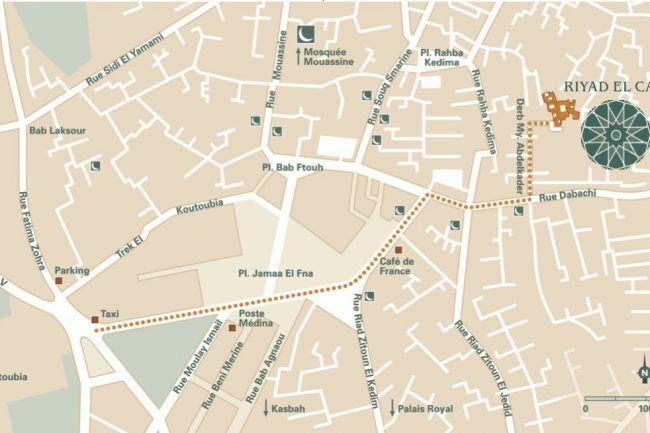 Riyad El Cadi is situated in the heart of the Medina (Old Town), at the end of three cul-de-sacs. 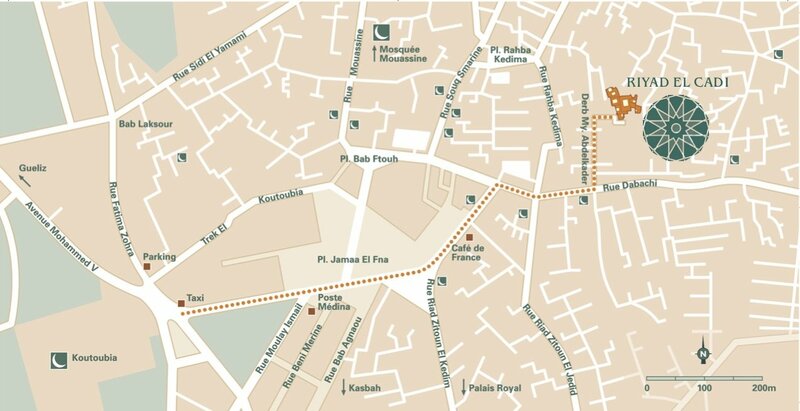 Thanks to these three entrances and the very central location in a secure part of the old town, you can reach all destinations in the Medina within a very short time. 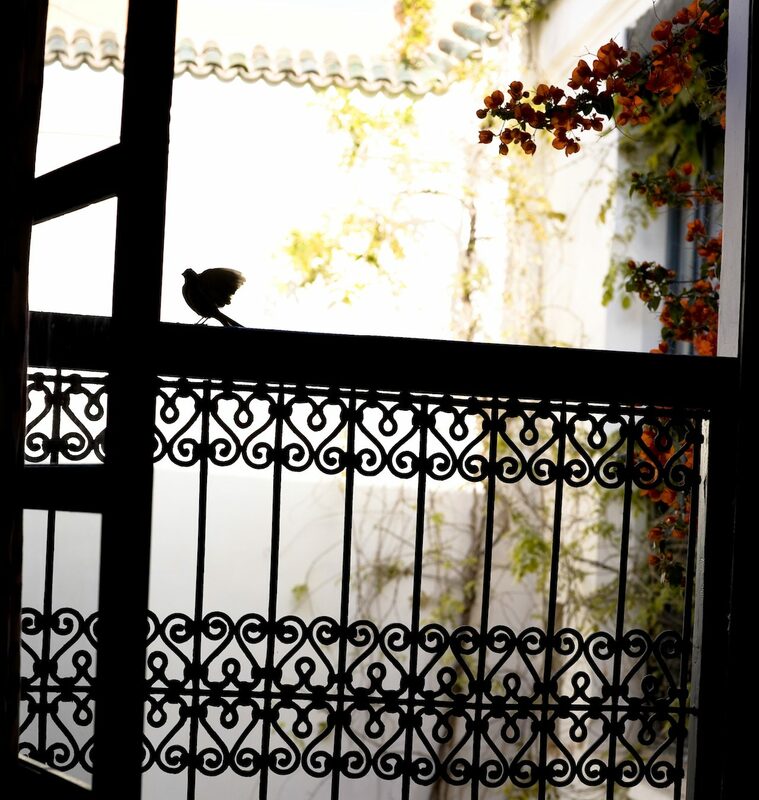 The El Cadi Riad Marrakech is not a hotel with indistinguishable rooms, but a guesthouse where all rooms are individually created. We aim to serve our guests without their being aware of it – as if they stayed with friends: Our service is unobtrusive but always attentive. 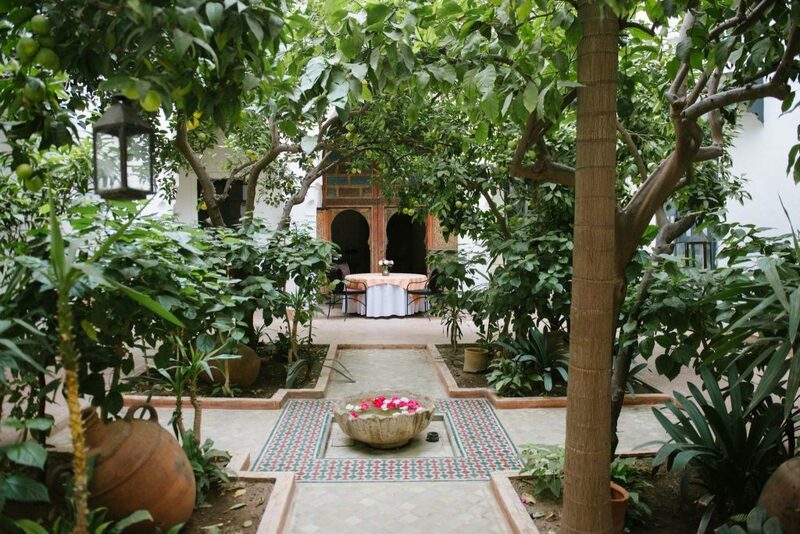 The El Cadi Riyad Marrakech was founded by Herwig Bartels, a long life diplomat, connoisseur of the Arab world, passionate collector of Islamic arts and last but not least German Ambassador to Morocco. 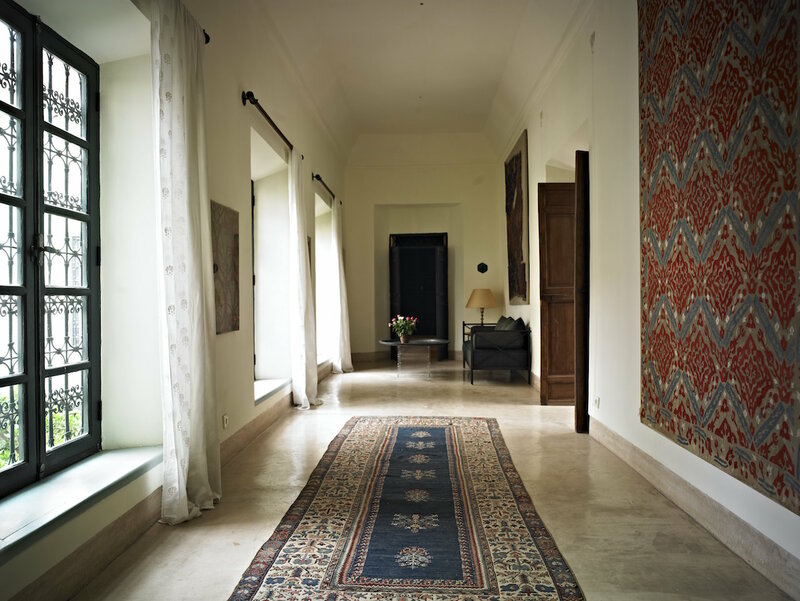 All rooms are individually styled with antiques from the near and far East. Beautiful textiles from Morocco decorate the walls. Browse our rooms , decorated with love for every detail. 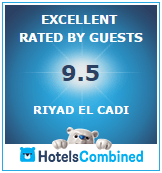 Book direct with Riyad El Cadi for our best rates and special perks available for our valued guests. 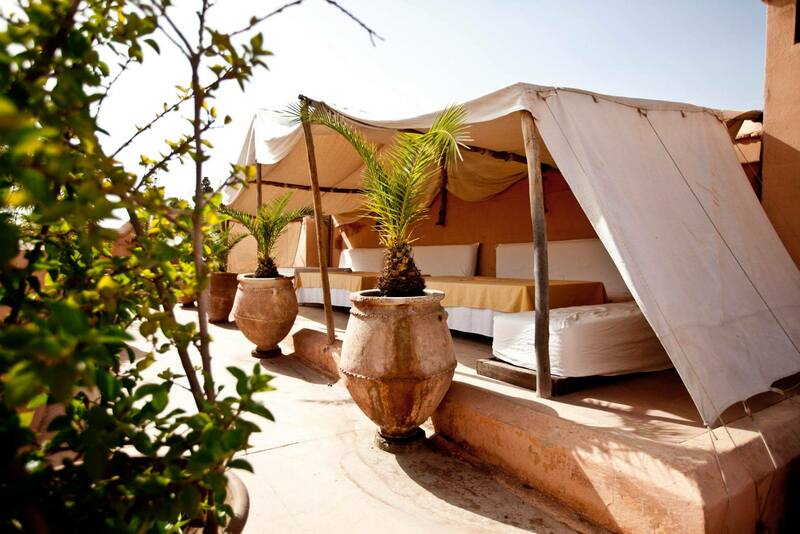 Bustling souqs and markets, lush gardens, maze like palaces, find your favorite in Marrakech. 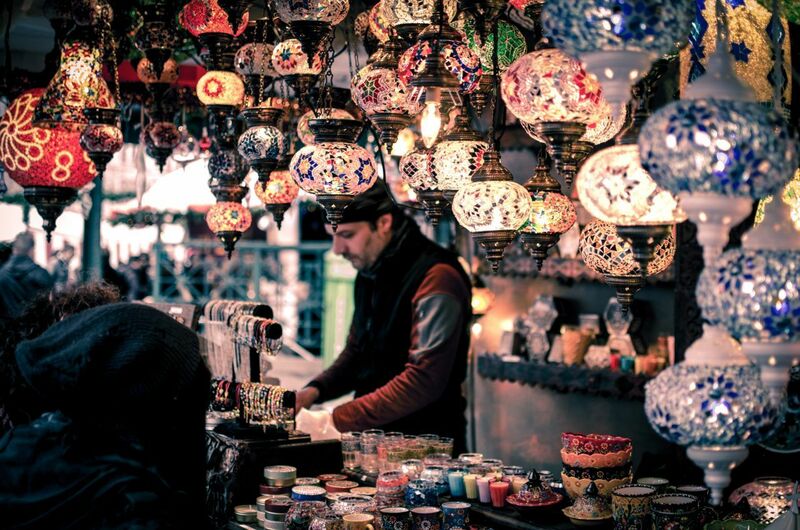 Daily life is exotic and exciting: Unknown perfumes, lively souks with merchants crying out their most recent offers, oriental wares presented in numerous booths to be touched and tasted – this is part of the exciting city tour through the souks of Marrakech. 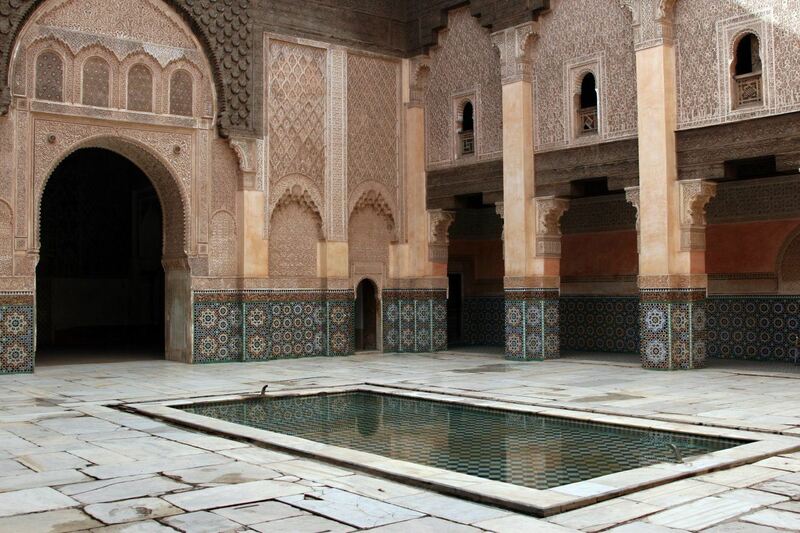 You will also visit the Koranic school – a true gem of Moroccan architecture. 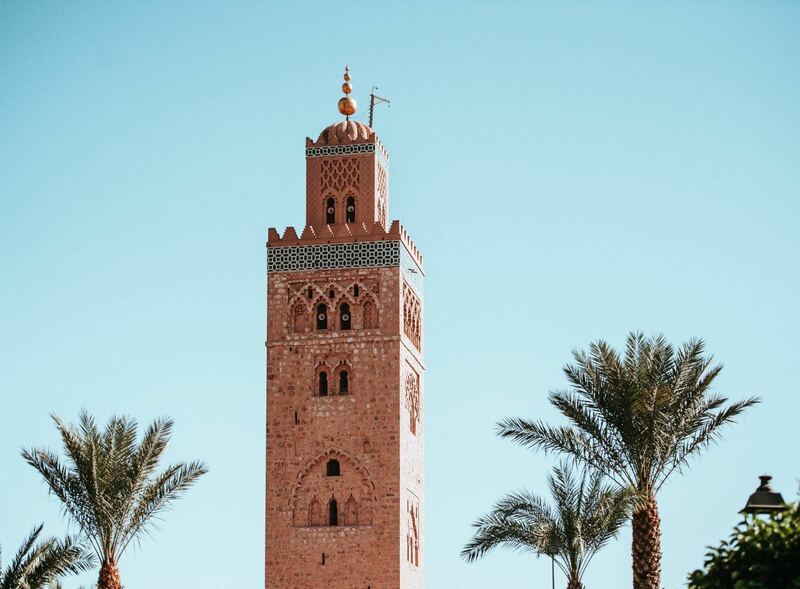 In Marrakech friends of culture have a lot to see: Visit the grand Bahia Palace of the former Pacha El Glaoui, the ruins of the Badi Palace with the art treasure of the former pulpit of the Koutoubia mosque, the Saadian tombs and walk through the Jewish quarter, the Mellah. 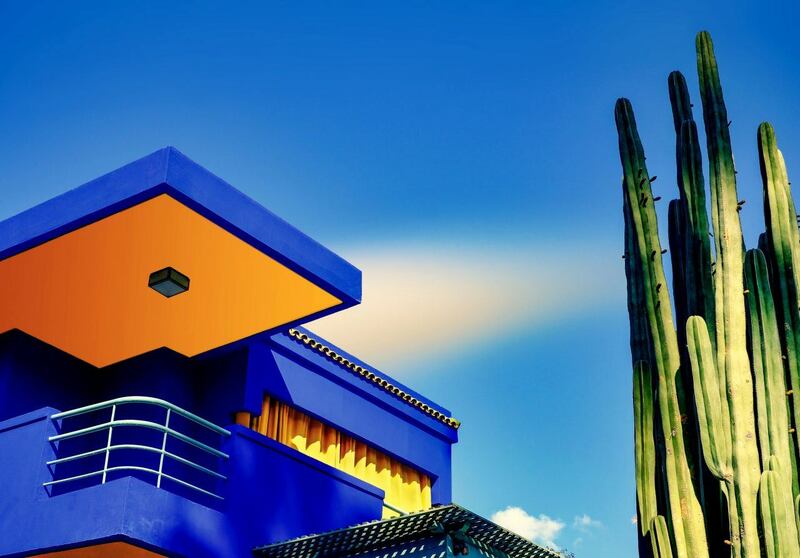 Arranged and decorated by the French painter Majorelle, beautifully kept by YSL and his partner Bergé, the Majorelle Garden is an oasis of green cactus with dots of Majorelle blue. Don’t miss the collection of Berber costumes and jewellery in the museum. from 14th century is one of the most impressive examples of Moorish architecture: Beautiful mosaiqe, plaster work and wood carvings. 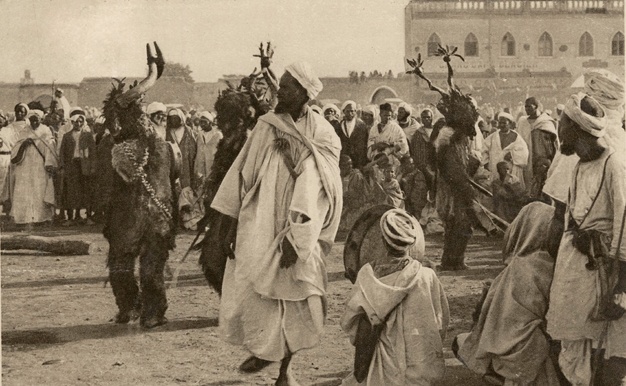 A delightful collection of original photographs of Morocco from 1870-1950 put together of three floors in a 17th century townhouse show you life an customs of former Marrakech. 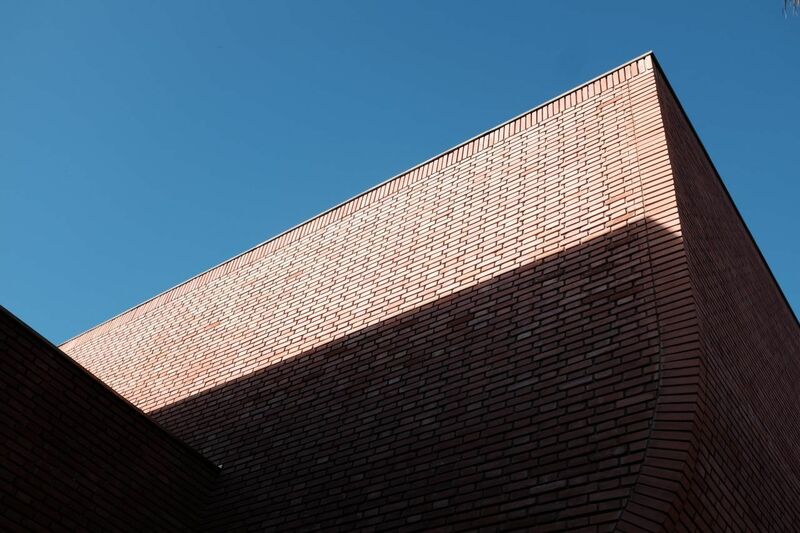 Opened in 2017, the museum with clean architecture hosts rarely seen masterpieces from the great French designer’s oeuvre plus temperary exhibitions. 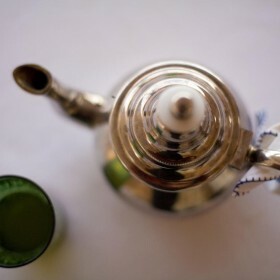 We strive to make your stay in Marrakech as agreeable as possible. Please do not hesitate to let us know your wishes, we are happy to comply. 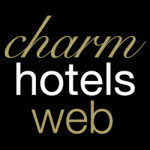 Hammam and massage facilities on site. 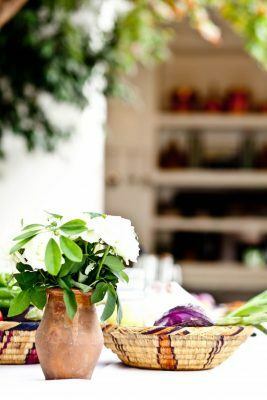 Fine Moroccan food for dinner and lunch. Cooking classes available.